Jace Mile is the moniker used by DJ and producer Michael Callon for producing tech house, techno, and deep house influenced tracks. Michael has been making tracks for several years, as well as DJing in and around Los Angles, and elsewhere. Eddie Hazel doesn’t need much of an introduction. The legendary funk guitarist is ranked #43 in “Rolling Stones Greatest Guitarists of All Time” list. 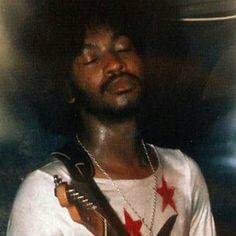 Besides playing and writing epic songs with Parliament Funkadelic, like “Maggot Brain”, Eddie Hazel recorded amazing music as a solo musician. “Jams From The Heart” is a collection of 4 songs recorded in 1975 and released on JDC Records. A must for any fan. Jammerz made the record “Step On Out, And Jump On In”, a five track record influenced by deep house, techno and funk. Jammerz, is also a moniker used by Michael Callon. Available on vinyl from the JDC store.